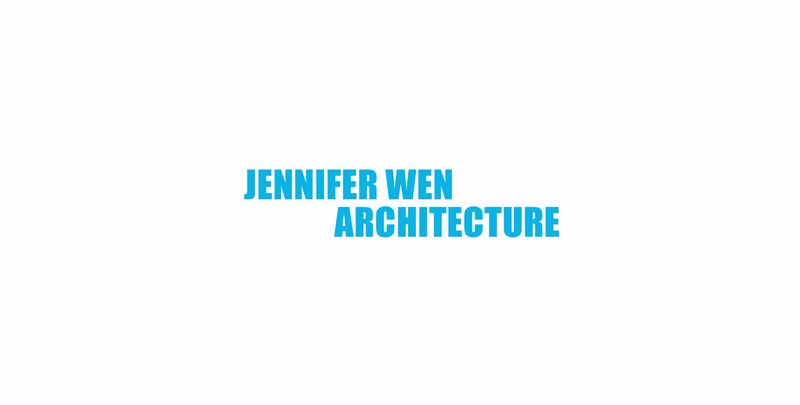 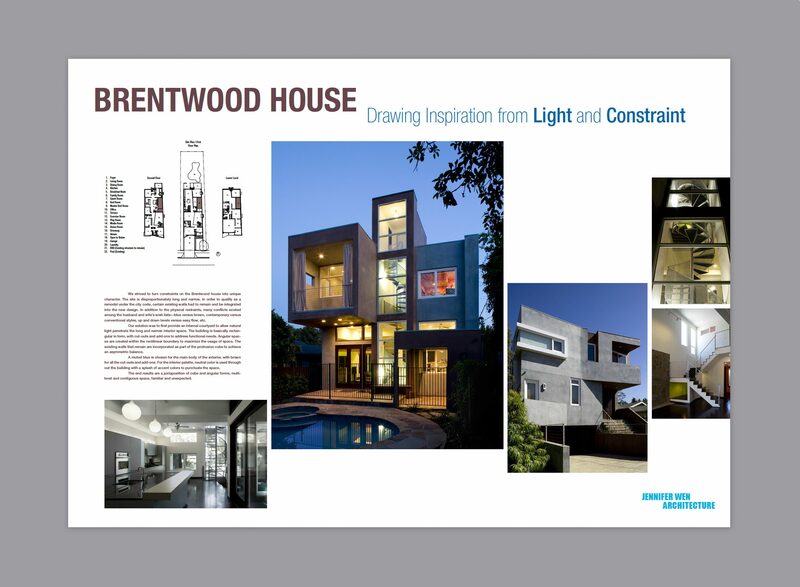 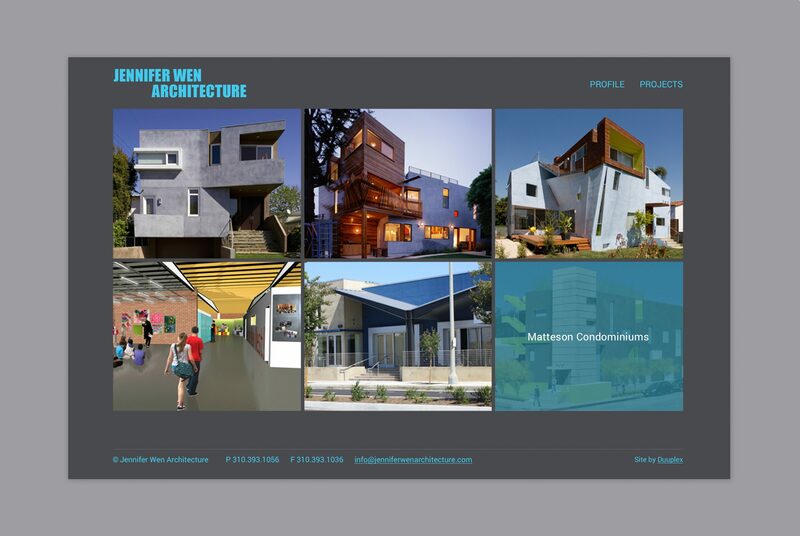 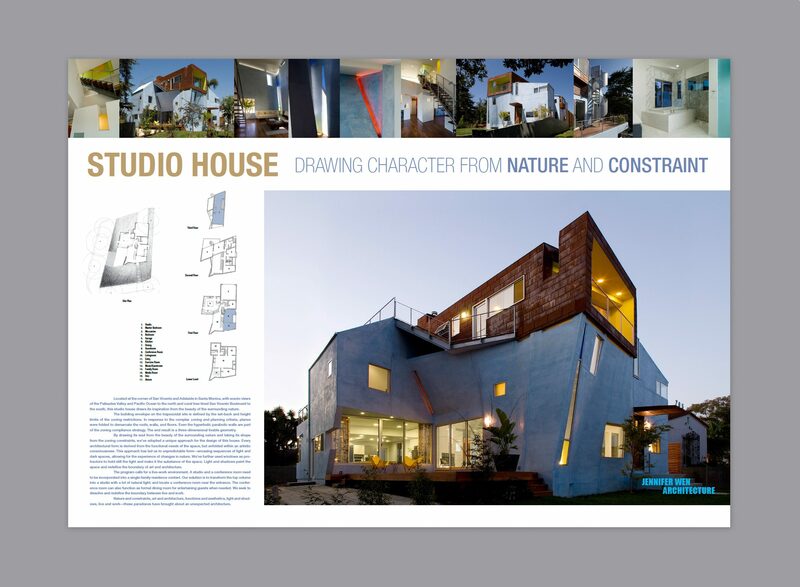 Jennifer Wen Architecture produces thoughtful, innovative architectural projects through a blend of creative exploration and use of emergent technologies. 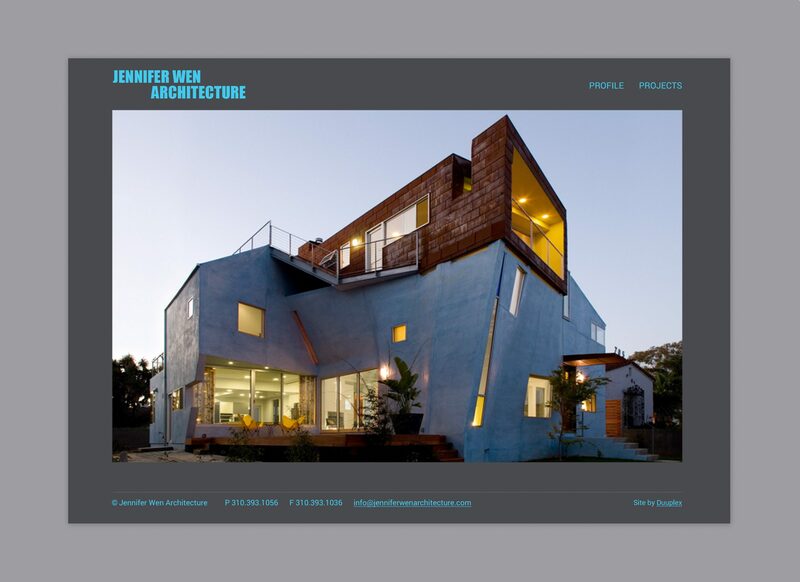 Duuplex designed a brand identity, collateral and website that evokes the experimental nature of Jennifer Wen’s architectural designs. 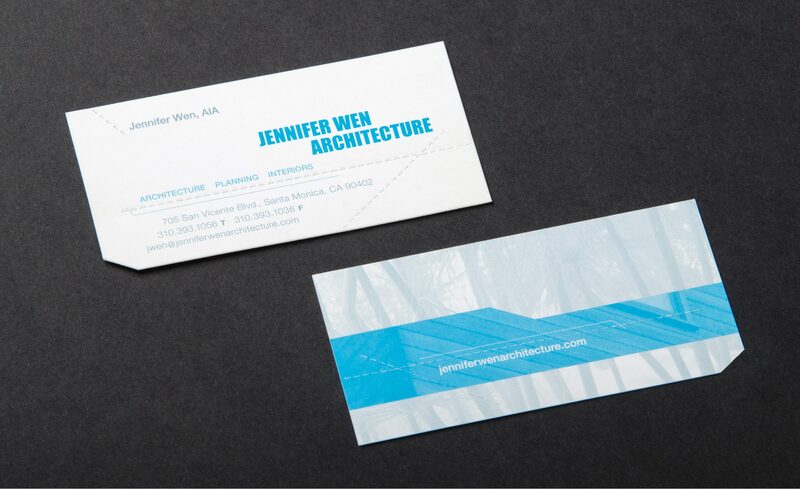 The business cards feature a custom perforated die cut that adds a unique tactile and visual quality to the presentation.